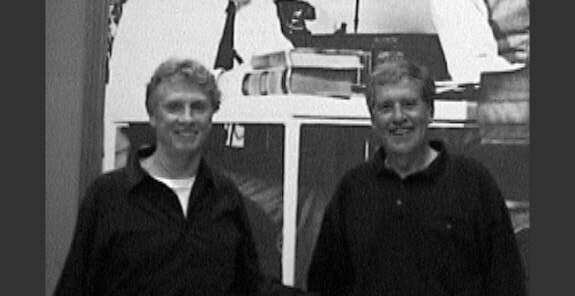 The composer-lyricist team of Mills and McCann consists of the pianist and composer Wendell H. Mills II and the author, librettist, and lyricist Eric J. McCann. Between 2001 and 2006 they worked together writing a musical stage play currently called Someone New which they published in 2006 under the name Periphescence (An Old-Fashioned Musical). Two of the play's 15 songs have been cited in national songwriting competitions ("More Than Anything I Love You" and "Keep On Dancing With Me"). The Mills and McCann collaboration started shortly after 9/11/2001. The Author/Lawyer Eric J. McCann had written essays and poetry throughout his career. The Pianist/Mathematician Wendell H. Mills II had performed in renowned restaurants, nightclubs, and hotels throughout his career. Mills and McCann were college friends and, after many years of moving around the country, they found themselves living within a 2 hour drive of each other that fateful day of 9/11. As a new resident of Manhattan, McCann left The City the weekend following the WTC attacks to visit his old friend Mills now living in Connecticut. Sharing a penchant for quality music, they stayed up late that Saturday night while Mills played standards and Broadway music on his Steinway. By the end of the night they had decided to write a musical together. Within a month of that meeting, McCann emailed his first song lyric (called "Something New"). After another month Mills wrote his first song melody to that lyric and the team of Mills and McCann (seemed to flow better than McCann and Mills) was born. During the next four years McCann wrote the libretto of a musical play initially called Something New, and the team of Mills and McCann wrote 16 songs together as part of that libretto. During that period, McCann would either email or hand-deliver his finished lyrics to Mills in Connecticut who would then compose music using either his Steinway grand piano or his Yamaha digital piano. During some of these Connecticut working sessions the play’s songstress Hartford singer Marcia Nelson would perform the songs with Broadway quality. Oftentimes the composers would work together in Manhattan overlooking Broadway from McCann's 37th floor apartment in the Gershwin Building on 50th Street, where three of the play's top songs were written. After some of these Manhattan writing sessions, the composers would try out the songs downstairs on the Palm Restaurant's piano on 50th St where two of the top songs, "More Than Anything I Love You" and "Keep On Dancing With Me" received standing ovations. One song, "Out of a Job", was withdrawn from the play in 2004, reducing the final number of songs to 15. The play was published in its entirety in Granby, CT in 2006 under the name Periphescence (An Old-Fashioned Musical). Also published were CD's of the musical's piano-vocal soundtrack along with the first Wendell H. Mills II Solo Piano album containing all 16 Mills and McCann songs. During this songwriting endeavor, Mills became enthralled with the musical quality of the American song standards produced by the great Broadway composers and subsequently has produced numerous Solo Piano albums of their best songs. ​In 2010 McCann moved abroad and Mills moved to Austin, Texas with his lovely wife Gloria; In 2014 Mills and McCann had a small reunion at Dugan's in the Detroit area; In 2015 there was renewed interest in the play under its new name Someone New; and in 2016 the Mills and McCann Solo Piano Top Ten Album was released as a digital download album.